There can be no doubt that the science of nursing is an essential and lifesaving therapy that everyone needs at some point in their lives. Nurses serve on the frontlines of healthcare in hospitals, physicians’ offices, mental health facilities, patients’ homes, neonatal clinics, and hospice centers. From birth and throughout the lifespan, nurses are critical to healthcare delivery, but they are in short supply. The Bureau of Labor Statistics projects a 25 percent increase in employment for LPNs until the year 2022. The aging population has a significant impact on healthcare, and for nursing in particular. There are now more seniors than ever before, which means that caring for older people is a major part of the work in most healthcare facilities. Caring for seniors with multiple complaints and complex needs require extensive training, which students receive during the course of their practical nursing education. The Pennsylvania State Board of Nursing regulates the profession and ensures licensees operate within the scope of practice. The Practical Nursing Program prepares adults with no experience in nursing for a career as Licensed Practical Nurses. Programs approved by the Pennsylvania State Board of Nursing facilitate a minimum 1500 hours of classroom, laboratory, and clinical instruction to ensure graduates receive the knowledge and skills to become effective and caring members of a healthcare team. The classroom theory guides the clinical practice. Experienced faculty emphasize the legal and ethical aspects of practical nursing and the health care delivery system. Course topics include human anatomy and physiology, professional awareness, pharmacology, lifespan, mental health, maternal pediatric nursing, medical-surgical nursing, professional awareness, leadership, nutrition, issues and trends, and principles of practical nursing. The clinical portion of the program takes place in local hospitals, nursing homes, or extended care facilities. Students earn valuable hands-on experience providing care to patients of all ages, ethnic and cultural groups, and stages of wellness/illness. Students also have the opportunity to observe first-hand the behaviors that are critical to employment in leading healthcare agencies. Applicants must be graduates from an accredited high school or equivalent and pass the pre-admission test. Personal and professional references, a physical exam with required lab tests, drug screen, and immunizations, current CPR, a criminal record check, a personal interview with the program coordinator, and Child Abuse Clearance are some other requirements applicants may have to fulfill for successful entry into a practical nursing program. Prerequisite training may be a requirement to enroll in some nursing education programs. Examples of pre-elective courses include chemistry, CPR, anatomy, medical calculations, medical terminology, physiology, and college composition. Upon completion of the program, graduates receive a certificate in Practical Nursing and are eligible to take the NCLEX-PN, which is required for practice in Pennsylvania. Duration and Cost of Training: Full-time students complete the program in 12 months; part-time schedules require 18 to 24 months to complete. The average cost of tuition in Pennsylvania is $12,200 for resident students on a full-time schedule or $14,675 for part-time residents. Out-of-state students pay more. In addition to tuition, students must budget for administrative fees, textbooks, course materials, lab supplies, clinical supplies, uniform, transportation, pre-admission testing, and pre-admission requirements, such as background screen, TB test, immunization, CPR, liability insurance, criminal background screening, and prerequisite courses. Source of financial aid includes Higher Education Loans, PELL Grants, Veteran Administration Benefits, Federal loans, and in-house financing for those who qualify. 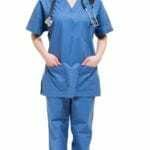 Graduates of a Practical Nursing program can take National Council Licensure Examination-PN (NCLEX-PN). After achieving success on the exam, graduates will be licensed as a Licensed Practical Nurse by the Pennsylvania Board of Nursing. In order to take the exam, graduates must register with Pearson Vue online, or by phone, at the same time they submit an application for licensure to the Board of Nursing. The fee for the exam is $200, payable using a credit or debit card. It is vital that you provide an email address during registration since all correspondence from Pearson Vue will occur via email. Pearson Vue will send an Authorization to Test (ATT) once the Board informs them of your eligibility to take the exam. The email contains your personal information submitted during registration (make sure to confirm that the information is correct), the authorization number, candidate identification number, and the expiration date. You need this information to schedule your appointment for the test, which must be completed within 90 days. You do not need to take the ATT to the test center; only an acceptable form of identification – a picture ID with your signature. Pearson Vue will deliver the ATT within 14 business days of your submitting a completed application and required documents to the Board. Schedule and take the test within the ATT validity dates as they cannot be extended for any reason. If you do not take the test by the ATT expiration date, you must reregister and pay another exam fee. Special accommodations are available for persons who qualify under the Disability Act. However, you must submit a Request for Accommodation Form when you submit your application to the Board. The exam results will be available within a 30-day period. If you pass the exam, the Board will mail your license, which you can verify using the license verification tab on the Board’s website. You will receive a Candidate Performance Report only if you failed the exam. The report highlights your strengths and the weaknesses you should improve upon for the next time you take the exam. You can retake the exam within 45 days after submitting a new application to Pearson Vue and the Board along with the appropriate fees. It is illegal to practice nursing in Pennsylvania without a valid Temporary Practice Permit (TPP) or license. Violators are prosecutable by law. All nurses and prospective nurses should be familiar with the state’s laws, rules, and regulations governing the practice of nursing. The Board will issue a license to any individual who can demonstrate evidence of completing an approved nursing education program and good moral character. Applicants must submit an application request, for licensure by examination or endorsement, on a board-provided form as well as the appropriate fee and documents. Graduate nurses can submit and an application for a Graduate TPP within one year of completing an approved nursing education program. They can begin practicing after the Board issues a TPP, which can be verified online. The permit expires if the graduate nurse fails the NCLEX and employment must cease immediately. The TPP terms require permit holders to practice under the supervision of a registered nurse who is physically present while the graduate nurse is practicing. The Board may honor requests to extend the permit for a period of one year under special circumstances. Register with Pearson Vue and pay the required $200 for the NCLEX. You must submit a valid email address with your registration. Pay the non-refundable application fee of $35 using a personal check, cashier’s check, or money order payable to the “Commonwealth of Pennsylvania.” The fee for the Graduate TPP is an additional $35. Out-of-state graduates applying for the licensure exam in Pennsylvania must pay $100 plus $35 for the permit. Verification of your nursing education sent directly from the nursing program. Out-of-state applicants must request official transcripts from the program director to be sent directly to the Board of Nursing. If you answer “yes” to the criminal history questions, you must include official court documents and a written note giving your account of the circumstances surrounding each conviction. Provide your social security number with the application. If you do not have one, you must complete the Waiver of SSN Form. Submit a completed Request for Accommodation Form if you need special accommodations under the Disabilities Act. You must submit a copy of an evaluation completed by a licensed physician or other certified health professional. Attest to completing 3 hours of DHS-approved training in child abuse recognition and reporting. All applicants must complete this requirement as a condition for licensure. Submit criminal history records check – applicable for candidates with a criminal history. Submit a completed Nursing Education Verification and official transcript sent directly to the Board’s office. The transcript must indicate the certificate or diploma awarded, total credit hours or clock hours completed, and the graduation date. The nursing education must be a minimum 1500 hours, or the graduate nurse will need to complete the deficiency through nursing related coursework or clinical experience. Complete the application for the licensure exam and submit to the Board of Nursing. The application fee to the Board’s office is $135 – a TPP is not available for foreign graduates. Complete the Waiver of Social Security Number form if you do not have an SSN. Register with Commission on Graduates of Foreign Nursing Schools (CGFNS) to obtain a Credential Evaluations Service (CES) Professional Report. The CGFNS should send the report directly to the Board of Nursing. Complete the 3-hour training in child abuse recognition and reporting. An incomplete application with missing documents will cause delays in processing your application. The application is valid for one year from the date the affidavit is signed. Submit the completed application for licensure by endorsement, making sure to enter your legal name and address. Pay the non-refundable application fee of $100 using a personal check, cashier’s check, or money order payable to the “Commonwealth of Pennsylvania.” Include an additional $35 if applying for the TPP. Submit verification of your nursing education sent directly from the nursing program to the Board of Nursing; ATTN: Endorsement Area. The transcript should designate the degree awarded with the month, day, and year you completed the program. Verification of your license through Nursys if the licensing state participates. If the state does not participate, you must ask the licensing authority to complete the license verification form and mail it directly to the Board of Nursing, ATTN: Endorsement Area. If applying for a TPP, you must attest to holding a current and valid license in another state or territory. Applicants have one year to complete the application before it expires. The Board of Nursing will mail a renewal notice biennially to your last known address. It is important to notify the Board when your address changes – within ten days of making any change. If you do not receive the renewal notice, you are liable for renewing your license by the expiration date. Licenses for practical nurses expire on June 30 of even-numbered years. There are no continuing education requirements or minimum practice hours to fulfill to renew your license. The renewal fee is $60. Licensed practical nurses have numerous employment opportunities at their fingertips. Sweeping changes in healthcare legislation have a positive impact on job growth in all levels of allied health. As administrators focus on patient outcomes and preventative care, there will be an increase in demands for nurses. LPNs are, more than ever, critical to health care delivery in almost every medical setting. Pennsylvania faces some unique challenges in the delivery of health care, much like other states across the nation. An aging population creates demands, not only for the direct care services offered by professional nurses but other general and specialized health care services. There are increasing cases of chronic illnesses, as more than 50 percent of Americans cope with diabetes, arthritis, cardiovascular disease, hypertension, and mental health conditions. Practical nurses help to ease the transition from hospital to home, and often provide round-the-clock care in long-term care facilities and home health care settings. However, increasing demands for chronic care make the current shortage of nurses even more evident. As the current workforce retires, the shortage of nurses will worsen, especially in rural and low-income areas. The healthcare workforce needs more nurses who are prepared to manage multiple chronic conditions in numerous settings. Fortunately, practical nursing education programs equip students with the skills and knowledge to function in multiple healthcare environments. A newly licensed nurse can expect to find employment within 4 to 8 months of graduation. Employment opportunities are available in physicians’ offices, hospitals, home healthcare, psychiatric clinics, long-term care facilities, substance abuse clinics, and prison healthcare systems. LPNs in Pennsylvania earned a median annual salary of 43,550 in May 2014. Thank god. Bring back the LPN for better patient care. Hospitals must start hiring more LPNs. Glad someone from erie is on here. I didn’t finish my lpn at tri state a few years ago for a few reasons but maybe that’s a blessing in disguise. I’d love to go for rn but time and money isn’t on my side. I’m in LPN school right now and one of our teachers just told us they are decreasing LPN programs lol wow did she lie! I graduated as an lpn 8 years ago and since then alot of places have stopped hiring them or if they do they require you to get your rn to keep your job. If you like nursing home that’s about the only place yoy will find a job and the lpn market in my area is getting flooded with lpns this is why i went back to school for my rn and will be done early 2016. How long is school to go from lpn to rn? My daughter is an Lpn and makes well over 20.00 an hour and don’t work I. Nursing home !! I’m a LPN and have worked as field nurse in pediatrics and currently work in a prison. My brother works for a bio med company as a LPN. I too, don’t work in a nursing home and I have been an LPN for 9 years now. I love it. Don’t waste your money.go for your R.N..no one hires and the pay is poor.i have been a LPN for over 40 years.wish i could of con’t for my R.N. not sure why/how your having a problem. i’m turning jobs down. what area do you live in??? Ahhem speak for yourself. I make good money. The only RN’s beating me in pay, r the ones that have supervisor positions and they have no life outside of work because they r flooded with more paperwork and less patient care, due to insurance requirements. I think u better move. I do pediatric home health. I worked as an Lpn for 30 years and didn’t make 28.00 so where ever you are you better stay there. Nurses LPN and RN are needed everywhere! there is such a shortage . That’s like having a podiatrist take medical boards after 5 years. Are u an RN ?? I work in Pa in a hospital and the lpns they have are being pushed into offices they prefer RN so this is bogus. Don’t get LPN training. Waste of time. They are wanting RNS wuth 4 year degree. Lpns are mainly used in a nursing home setting for seniors. Not too many are hired for hospital nursing in Pittsburgh area! It’s better to put your money towards Rn. I do pediatric nursing and I make 24.50/hr its a nice relaxing atmosphere, hands on. It is not a hospital but I didn’t want a hospital. LPN’s are not being pushed out of nursing or good paying jobs. Hospitals are going for RN’s because of the funding they receive for doing so but we still don’t make a horrible pay by any means. However, it would depend on the person and how long they wanted to go to school and how much they wanted to spend. They hire medical assistants for doctors office jobs over Lpns in my area! To work and can always further your education if you want to. I would never discourage anyone from doing a 1 year LPN program..I did it and it was much cheaper and can go back for less time to be an RN. This is true… Most of the new RNs do not have the skills that LPNs have. Just finished school, trying to study for my board. Any recommendations for any source ? They use LPN’s in home care all the time where I live and there is very little we don’t do. I wouldn’t give it up for the world! The Crawford County Career & Technical Center in Meadville Pennsylvania has a PA State Board of Nursing Approved program, which is also ACEN accredited and has had a 100% NCLEX pass rate for five years running. Why isn’t it on your list? Never mind, I see it is listed under Meadville, PA.